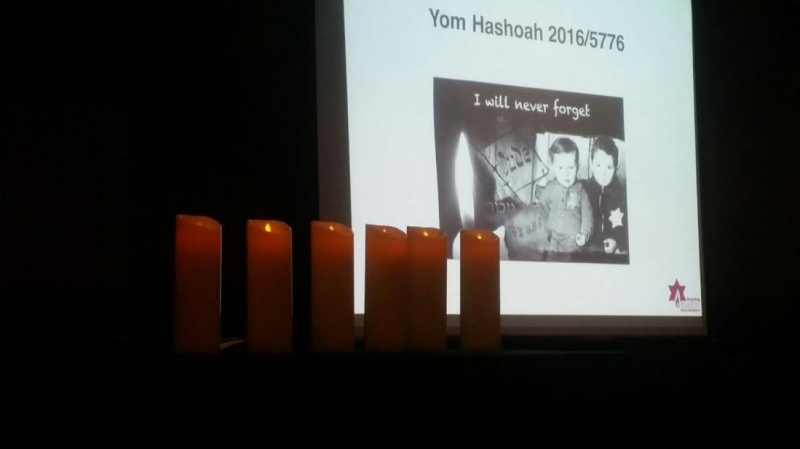 We were proud to host the annual Yom HaShoah (Jewish Holocaust Memorial Day) ceremony at the Jewish Community Centre on Wednesday 4th May, from 7pm – 8pm. Students from Elsa High School led the commemoration ceremony, speaking of why keeping the memory of the Holocaust alive is important to them, the future generation. Members of the Hong Kong Jewish community, including two Holocaust survivors, lit candles to remember the six million. Yom HaShoah is observed as Israel’s day of commemoration for the approximately six million Jews who perished in the Holocaust as a result of the actions carried out by Nazi Germany and its accessories, and for the Jewish resistance in that period. In Israel, it is a national memorial day and public holiday. It was inaugurated on 1953, anchored by a law signed by the Prime Minister of Israel David Ben-Gurion and the President of Israel Yitzhak Ben-Zvi.